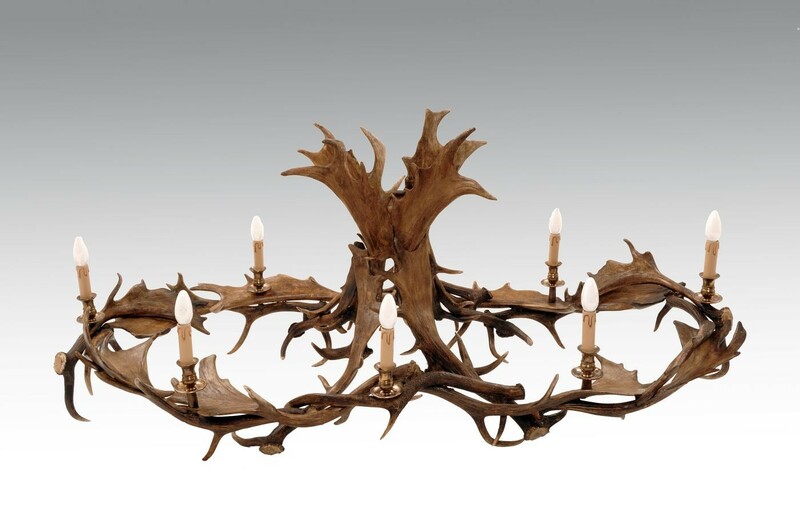 Made from small Fallow antlers, this is an unusual - and extremely attractive - design of chandelier. The oval shape looks perfect over a dining room table. Other sizes can be made to order.